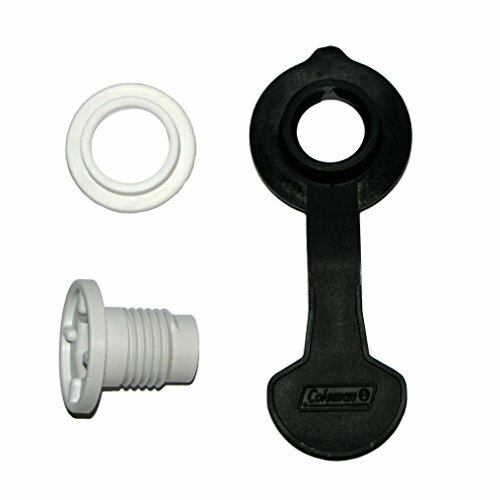 3 piece replacement Coleman drain set w/ Black Cap. For use with most Coleman coolers (Fits models 5227, 5235, 5239, 5240, 5241, 5245, 5248, 5254, 5255, 5256, 5262, 5264, 5265, 5269, 5272, 5274, 5276, 5283, 5284, 5286, 5294, 5299, 5296, 5299, 5848, 5850, 5894, 5896, 6262, 6270, and the 54 Quart Stainless Steel Belted Cooler). Drain nut has 1" shaft length.